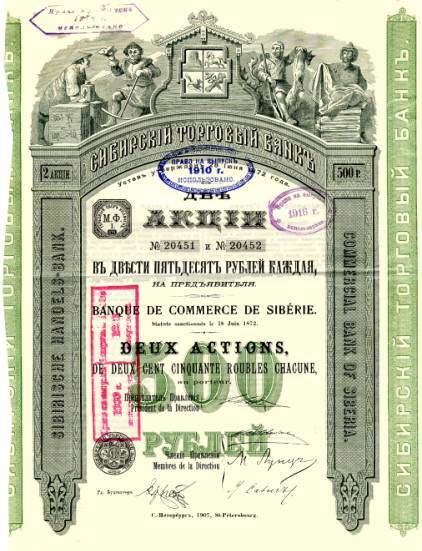 Beautifully engraved certificate from the Banque de Commerce de Siberie issued in 1907. This historic document has an ornate border around it with a vignette of a miner, trapper, merchant and druggist flanking a coat of arms. This item has the printed signatures of the officers and is over 105 years old. 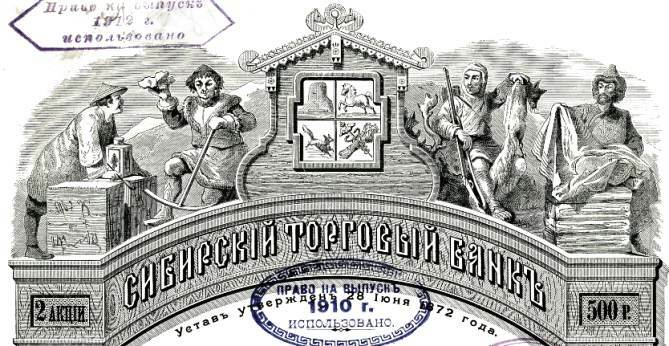 The Commercial Bank of Siberia helped finance the eastward expansion of Russia into Siberia.